I recently wrote a post about the 10 questions I had after two years of consecutive solo world traveling. During this period of time I have rarely spent more than a few days in each place, and never stayed anywhere for more than two months (the longest was my most recent summer in Berlin). I also rarely spent longer than a few days in any one individual’s company, with a few exceptions. Solo traveling is something I’ve advocated ever since I began traveling, and while I still believe it has all kinds of positive benefits, I acknowledge that any kind of radical life shift, especially one maintained over a long period of time, will also come with drawbacks. 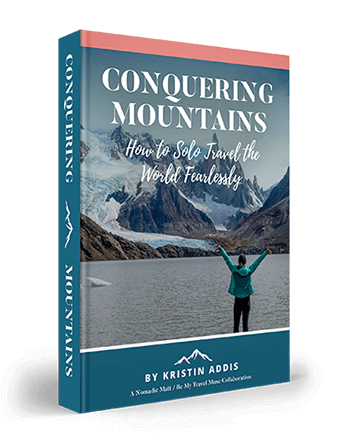 Solo traveling narrows down the direct impact of nearly every choice to one person – you. Decisions ranging from the smaller, what should I eat today?s to the larger, which country would I like to visit next?s, all fall to you. Unless you’ve met someone(s) you want to remain with longer, or are making a more major decision like whether or not to go home for an important holiday or life event, the vast majority of what you do is governed and experienced by you and you alone. This can make it pretty hard to commit to any kind of relationship because suddenly, you have to start considering the desires of others and can’t be as selfish anymore. 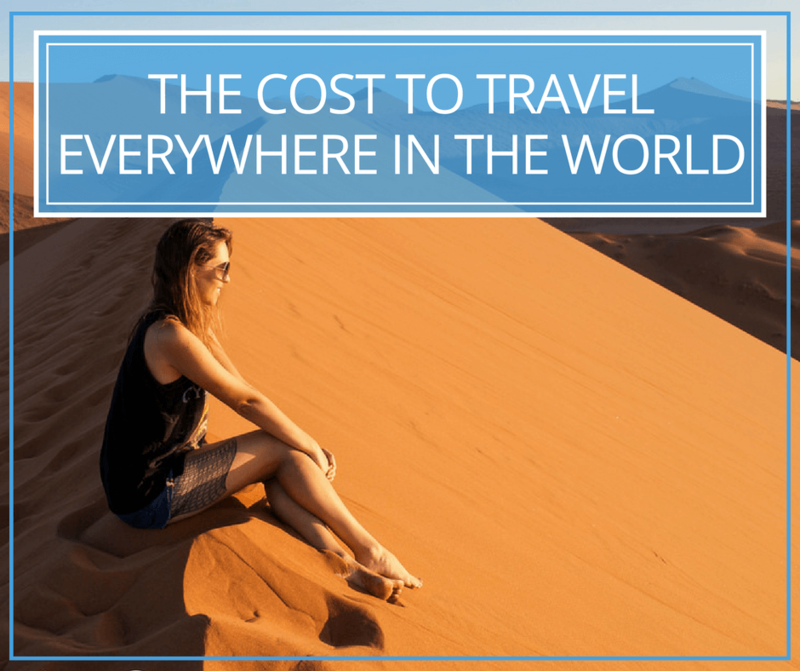 Traveling solo, particularly in developing countries, removes most external influences that caused us to make decisions in our lives back home: jobs, relationships, rent costs, image, ads, television, etc. When you’re in places where nobody wears designer anything, a $3 dorm room is perfectly normal, and street food is a favorite staple, even for those who also come from a corporate background, the B.S. is removed and people can be who they want to be. People say that traveling makes them into a new person, but I believe it just allows them to be who they’ve always been. Maybe that’s someone who freely enjoys excess, turns into a Buddhist, devotes his/her life to helping others, or a whole host of other lifestyles. So many people say to me, “I wish I could do what you do,” or “you’re so brave,” but what they don’t realize is they can do what I’m doing and I’m not that brave. Anyone traveling solo also knows this to be true. What seems so simple to me now, but I didn’t put enough emphasis on before, is the fact that we get only one shot at life and pursuing major dreams is not just important, it’s a necessity. Yet so many people don’t end up trying the very thing they most wish they could in life for fear of failure. The whole point is to realize it’s never a failure, but a series of steps forward and inevitably a few backwards. Any time someone praises you for following your dreams you’ll be forced to tell them that they could do the same thing. They, too, could simply do whatever the heck they want. They’ll stare back at you in disbelief, and you’ll feel like you’re on a soap box. Then you’ll step down, sheepishly. My mom says that these days she sees me more than when I was living in California, only 45 minutes away. Now when I come home, I stay with her and each year, she has visited me for a week or two during my travels. My best friends from back home also take time off of work and plan group trips when I’m home. A couple of them have even visited me in Thailand (during the coup d’etat, no less). I’ve also seen friends I’ve met traveling over and over, in different countries and continents. We make effort to see each other because we made lasting friendships. You’ll meet people from all over the world, and while you’ll say goodbye a lot, you’ll also have the opportunity to hang out with a friend in just about every city you visit. This is an incredible gift. By juxtaposition, the fact that you’re always leaving, always moving, and never letting yourself stay in one place for long will make you less of a long-term-prospect in many people’s lives. This is particularly true for romantic relationships. It’s hard to take someone seriously who will always leave, which results in a lot of heartbreak and goodbyes. People think riches are the answer until they become rich, think fame is the answer until they become famous, and think traveling will be the perfect lifestyle change until they realize that no lifestyle is without its pitfalls. It can be a bitter pill to swallow. With so many options constantly presenting themselves, and by returning to the place where you grew up with a new perspective, it will be harder to feel at home in any one place. This inevitable byproduct of traveling is a double-edged sword, because you’ll end up falling in love with many places while simultaneously wondering if you could ever really settle in one place. Master the art of blending in! Unless you can embrace the differences in each friend group, culture, and overall lifestyle where you’re living, it won’t be an easy road. When I’m traveling, I realize that things will not be as clean, timetables will probably not exist, the people I’m around are more likely to be from different cultures with very little in common with how I grew up. Back home, I realize that image matters more and I can’t just walk around without makeup or western-style clothing on if I want to be treated with respect. Traveling successfully means that in order to fit in and appreciate each place, you have to change a little bit each time. Some would say this means not being true to yourself, but in reality it’s just letting different parts of your personality show. Normalcy will be almost impossible to grasp. 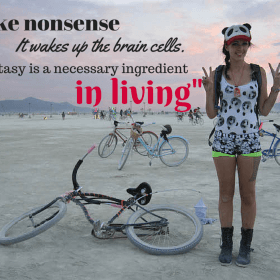 Reverse culture shock will be real. Assimilating to the world of non-travelers, should you ever decide to become one again, will be more difficult than you ever imagined. In closing, traveling opens a lot of doors, promotes the opportunity to have amazing and eye-opening experiences in beautiful places, and exposes you to all kinds of amazing people. It also means a lot of changes to your lifestyle and sense of self. Like anything it can be both good and bad. All that said, I wouldn’t trade it for the world. Great post! #8 resonated with me especially as it’s something that I struggle with. 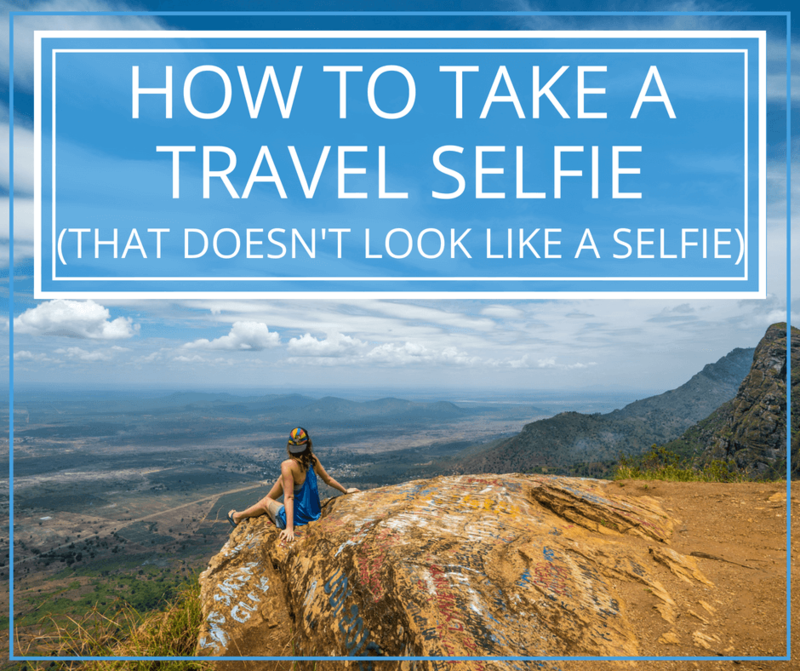 It’s definitely one of the very few downsides of travel. Really great post. Another one I would add is that everything at home will seem the same- it will feel like you’ve changed a ton but everyone back home is frozen in place. At least for me. Definitely. Somehow it all seems the same yet everything changes. Hells yes. Many of these ring true to me from years as an expat, especially #5, #6 and #9. Travelling (or more, living in different countries in my case) has made me more confident, stronger and know myself better but I expect, and hope, to find more of #2 and #3 within myself on my RTW trip in January. Great post! RTW trips are amazing. Have a blast, girl! Hey Kristin, always cool to see how travel affects others. I’m sure we’ll cross paths somewhere in the world. Best to you! This is such a great list. 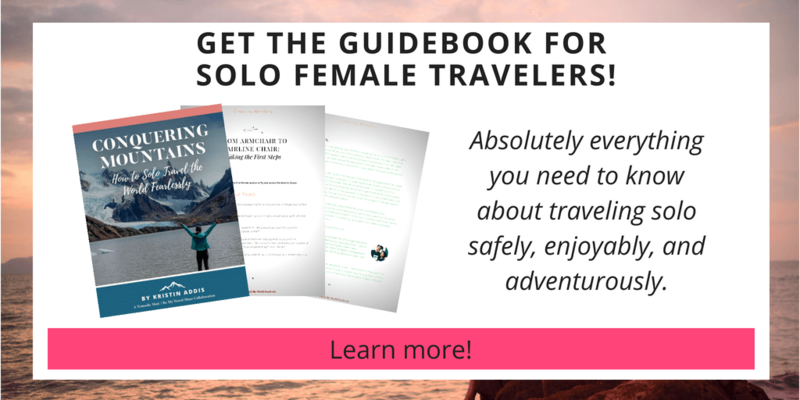 Although I am not travelling solo, so many of these resonate with me. Particularly #1, I’m learning that I can be really selfish when travelling with my partner and its totally something I need to work on! It’s so true that once you start travelling it’s hard to think at a particular place as home, at least it is for me. Me and Dale have been on the road for more than 2 years with no intention to stop any time soon, but we would like to have a base where we can return to, the problem is where? I have a few places that could be a base, at least I think so. Testing my theory! Love this! Especially number 3, 4, and 7. Traveling has given me so much perspective and so many adventures. It challenges me and gives me joy. It opens my mind and teaches me more about myself than I could have ever imagined. I love that about it, too. The way it presents challenges but also builds the kind of person who can overcome them. I was going to list the points that jumped out at me but then I realised that would be all ten! Although I’ve had some personal experience with #4 lately. Opps. 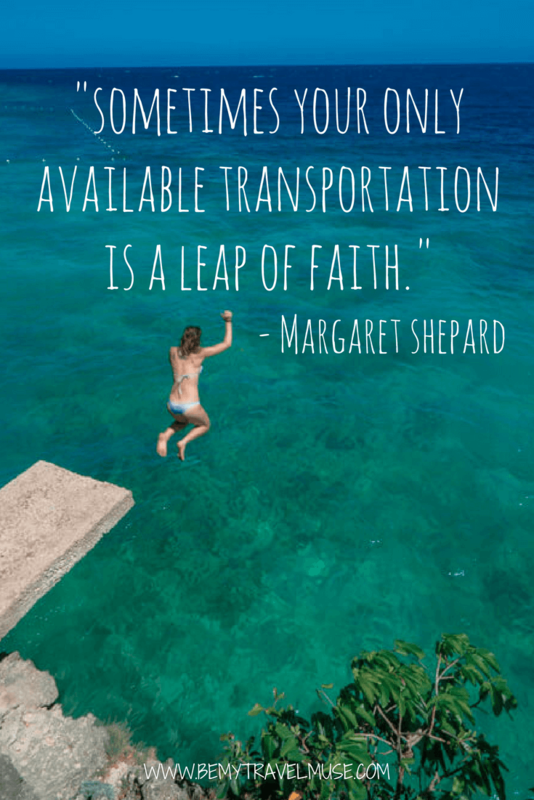 I was about the send the link to a friend who’s in the “should I travel or shouldn’t I” boat so she know’s just what’s in store (and how awesome it is), but I think only people who have experienced this themselves really understand. She definitely should do it! Great post! 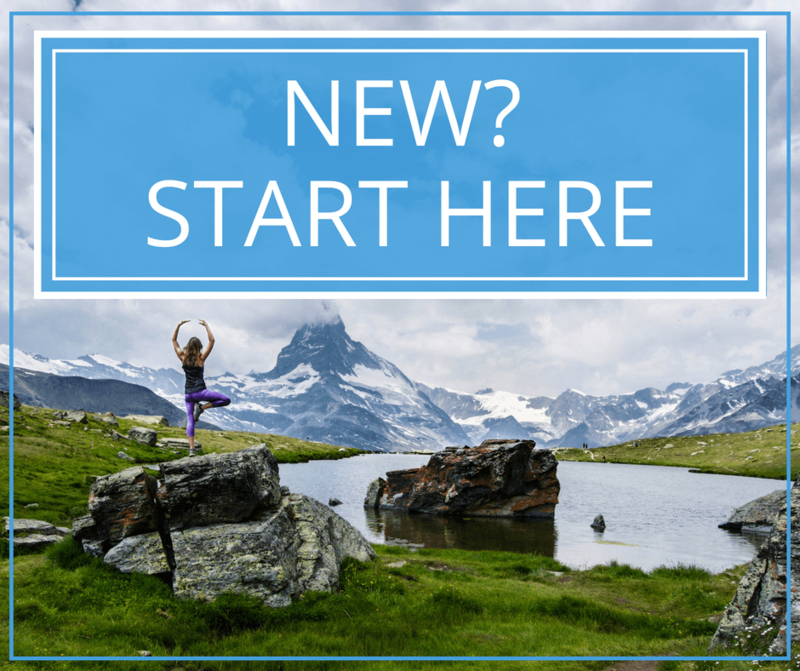 There are really good changes and not so good ones about long-term travel. But at the end of the day, it’s you who decide how you are gonna react with those changes. So true about how friends and family become more and more important – they ground us :-). Great post! I might do a similar one on my blog. Hello Kristin! I’ve been following your blog and it’s been incredibly inspiring. I have a question, I noticed earlier on in your blogging career, you used a pseudonym called Ava Apollo. What was the reason behind this and why did you decide to go back to your real name? Thank you! Short version is, I still had my old job when I started blogging and I knew that it wouldn’t have been cool if I was doing both, particularly since the first thing that came up when anyone searched Kristin Addis back then was my linkedIn profile. It was too hugely important to my role in my old job, so I didn’t want to compromise it. Nice read! Travel definitely brings a positive change in an individual. In my case, it has made me more tolerant of life. I have learnt to value life more, value people more. I have learnt to be less emotional and more practical. 🙂 Most of all, I have become a better person. I really agree with that a lot. I have more compassion and more easily tolerate others who might slightly annoy me without meaning to. 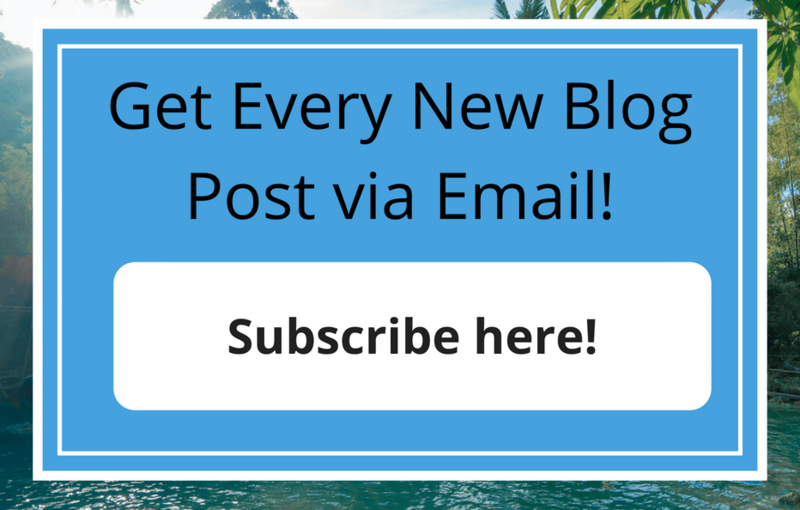 Great post – thanks for sharing you stories. That’s so true, totally agree with you and I think that is why we started our blog. Never thought about the whole ‘how was your trip’ thing. You’re right… it’s incredible how travelling changes you so much until making you a complete different person. Even the loved ones change, and you consider others your family. That’s sad for the ones who stay home and see how others could achieve in days what they had to work for years and years of friendship and patience. It’s unfair, but true. Nice post. I definitely grew a lot more this year and learned how to let go, but there are probably also things where I took a step backwards since the nature of relationships changes when moving around so quickly. It’s an interesting concept and I am learning more about myself all the time as a result. It has definitely made me more confident, and I noticed it when I went home for the 1st time. Making all those decisions instead of letting others do it for me made me a lot more comfortable with the prospect of dealing with the outcomes, which were not as scary as I had initially thought. That’s so true. Knowing that you’re in charge makes it less scary even though it seems like the opposite would be true. I went from shy, struggling, largely not too happy guy to someone who’ll be speaking at NYU in a month. I went from unknown blogger to a guy whose eBooks have been endorsed by a New York Times Best Selling Author. 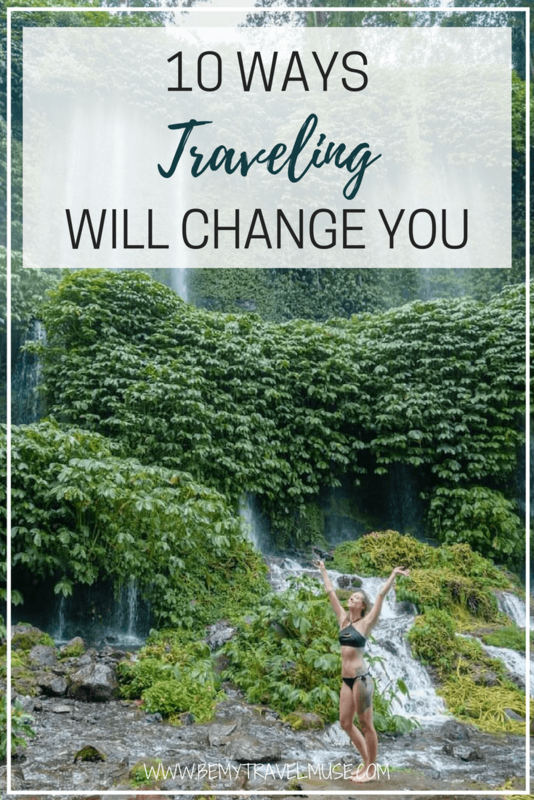 Your post is spot on, and I know first hand that traveling changes your life like you couldn’t believe! Nobody knows how travel will change them but if you’re open and willing to be uncomfortable you’ll slowly free yourself. You’ll become who you were born to be, because you’ll stop being the person your friends and fam want you to be, and you’ll be you. At home in NJ, I was Ryan the office worker, then Ryan the pier guard, who watches sports and hangs out on the weekends. Traveling all over the world my ego view of self was shattered. I became who my intuition told me to be, which is why I’ll be speaking at NYU, teaching folks how to live the digital nomad lifestyle, and it’s also why I’ve received the humbling endorsements from a world renowned author and biz coach. LOVING each of your points Kristin. Tweeting this from Bali 😉 Thanks for sharing! Totally! you leave pieces of yourself behind everywhere. It’s the beauty of having home everywhere but the difficulty of not really feeling at home anywhere.